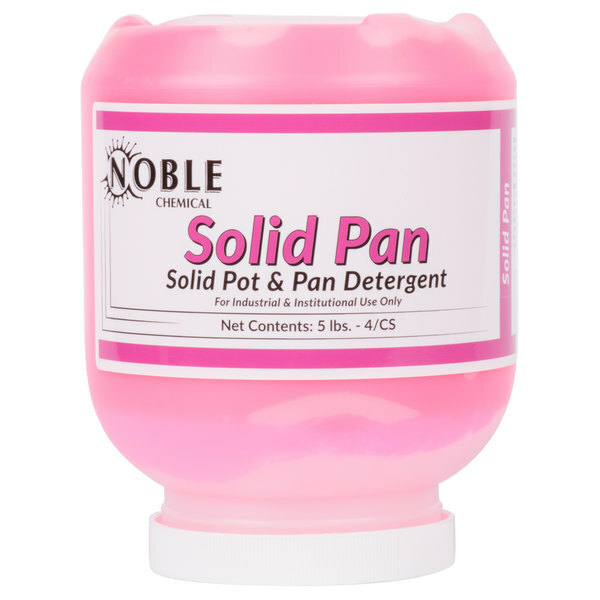 This Noble Chemical Solid Pan detergent a must have for any commercial kitchen. This solid detergent is tough enough to remove grease and food build-ups and renew the appearance of your pots, pans, and other metal dishes. For use with automatic dispensing systems, this detergent allows you to watch your profits soar when you keep your kitchen looking clean and your food tasting great by having spotless and hygienic pots and pans!